Syllabus of the Online Course (Subject): International Trade and Business in Guangzhou, Canton, and Shenzhen (China). Shenzhen: a gateway for China. Guangzhou has become one of the wealthiest cities in the People's Republic of China. Auto industry is one of the largest industries of Guangzhou. 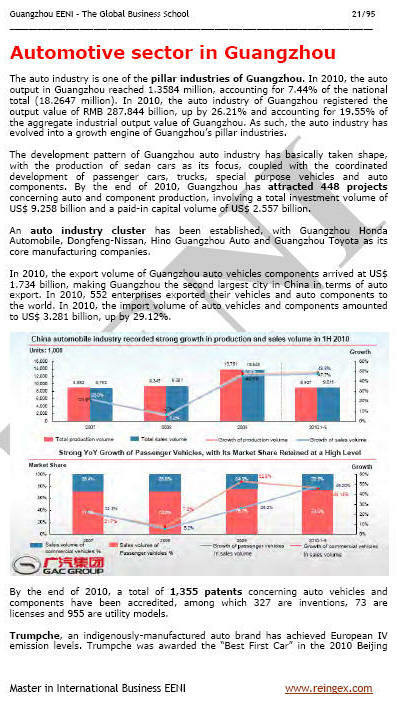 Automotive production in Guangzhou reached 13,584 million, accounting for 7.44% of the total of the People's Republic of China (18,2647 million). 552 companies exported vehicles and auto component. Shenzhen is situated at the Southern corner of the Chinese mainland and on the eastern Bank of the Pearl River. The Canton Fair is the largest Import/Export fair in the World. Inaugurated in 1957, the event has become very famous thenceforth. 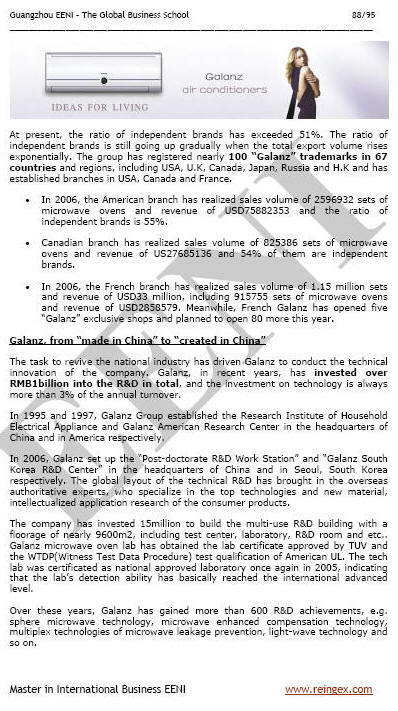 Gathering 150,000 importers each year, the show is now a reference in the World of international business.